Located slightly away from the city, this beautiful temple also deserves a visit. This temple is dedicated to Goddess Shakti. According to the locals, this temple has a history of over 3000 years. The best fact about this temple is its location. On either sides of the temple river Pamba and Manimala flows which makes the ambience more serene and beautiful. Festival like Pongal is celebrated in this temple. Pongal is a grand affair over here as thousands of women participate in it. However, in celebrating the rituals of this festival only women are allowed to participate. Follow the rules and regulations of the temple so that you can worship comfortably. Camera, radio, tape recorder, mobile phones, video cameras are not allowed inside the temple. Do not touch the Balikallu with foot, inside the Nalambalam. Do not spit in the temple premise. Take special care of your purse and ornaments. Make sure you don’t get misguided by any false booking agents. How popular is Chakkulathukavu Temple? People normally club together Cherai Beach and Kuzhupilly Beach while planning their visit to Chakkulathukavu Temple. People also prefer to start their day with Chakkulathukavu Temple. 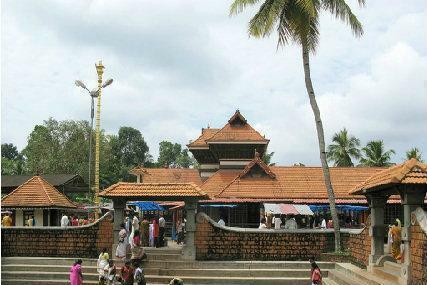 Its one of the temples that portrays the simplicity, richness and heritage of Kerala. The calm demeanour and practices followed by the priests / devotees and the overall aura within the temple will rejuvenate you from within..
Temple area is so nice... Good free parking facility.... Mind refreshing atmosphere.. Very nuce temple thanks to Anup Swamy for recommending me here.